We have recently come through a season of celebrating Jesus' death and resurrection. In our passage today Paul explains how that event is reenacted in our lives when we are baptized. 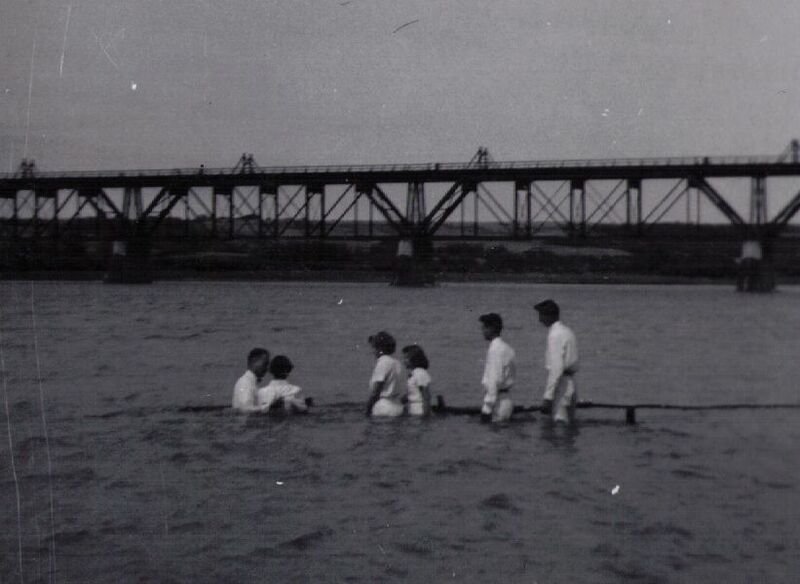 The faith tradition in which I grew up and was baptized (Mennonite Brethren) practices baptism by immersion. This simply means you go to a body of water that's about waist deep and the person who baptizes you tilts you backwards so that you are totally under: "...buried with Him..."
Thankfully we're not there three days but mere seconds. Then the baptizer raises us out of the water. This signifies Christ's resurrection: "That just as Christ was raised from the dead by the glory of the Father, even so we also should walk in newness of life." For most people, their baptism as a watershed event, powerful in many ways. The spiritual symbolism of the physical act brings home to the person being baptized in a tactile way what happened when they trusted Jesus for salvation. It's a sign to onlookers of one's allegiance to Jesus. 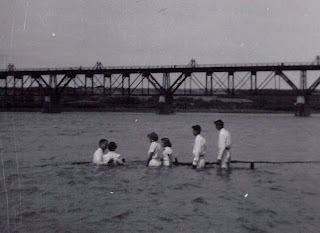 It's a ceremony (or 'ordinance') unusual enough to grab attention and signal that the person being baptized is serious about his or her faith and following Jesus. To the person being baptized (and to onlookers) it marks a moment of fresh resolve "...of being dead indeed to sin but alive to God..." - Romans 6:11. Have you been baptized on the confession of your faith as a symbolic reenactment of your own death to sin and life to God? If not, consider this ordinance for yourself. It may impact you in ways you hadn't imagined. PRAYER: Dear God, thank You for baptism which pictures so beautifully what happens when I trusted you as Saviour and Lord of my life. Amen.